Made by WMF - Production at our own WMF plant in Heshan. Design: Michael Michalsky. Design award: red dot award. Whether a small breakfast, copious lunch, garden party or brunch: this trio is in use at every meal - although sometimes not all together. The tablespoon is often used for soups and pasta dishes, whereas the knife cuts the food on the plate into bite-sized pieces. The table fork is used to hold the food in place while cutting with a knife. The food is then speared by the tines of fork. Are you fond of classical proportions? 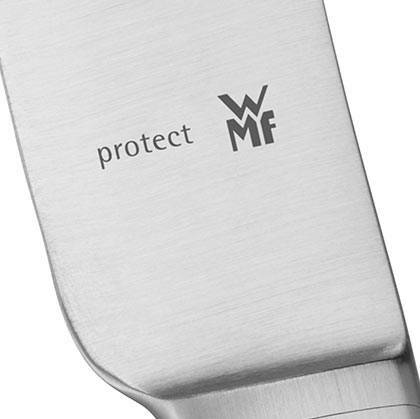 Then this WMF cutlery will appeal to you. Designed by Michael Michalsky, the impressive size of this model gives the cutlery presence. The decorative line detail, reminiscent of Augsburg's silversmith tradition, is an eye-catcher. The cutlery is polished and the emphasis rests on the front parts. A distinctive feature is the striking bolster of the knives with a forged blade. The length of the cutlery harmonises with large plates, and numerous additional items and pieces of serving cutlery are available for festive table settings. The knife is a true all-rounder. Whether used for spreading butter, chopping potatoes or cutting meat, the knife plays an important part in every meal. The knife is set on the right-hand side of the plate and is an essential part of any place setting. When setting the table, the cutting surface of the knife always points towards the plate. There are two different types of knives: there are knives with a blade made from special blade steel which is inserted in the knife handle, and there are monobloc knives, which are manufactured directly from one piece. Both types of knives are available in the WMF online shop. Dinner knives typically have a slightly serrated edge, which enables you to cut each ingredient or each item on your plate easily. Cromargan protect®, a material developed by WMF, is extremely resistant to all kinds of wear and tear, completely scratch-proof and dishwasher safe. Knives made from Cromargan protect® will ideally accompany you throughout the rest of your life. We also offer knives in the popular Cromargan® stainless steel 18/10 or in a silverplated version with 925 sterling silver.  All our different materials meet the high quality standards of WMF. Discover the different materials used by WMF for knives, forks and spoons. We have adapted the design of our high-quality WMF knives in line with our latest cutlery collections. They contain timeless classics like the Augsburger Faden, or completely new approaches to cutlery aesthetics, like the elegant knife from the Corvo range. You can even lay the table with this knife on its cutting edge. Your guests will be thrilled. 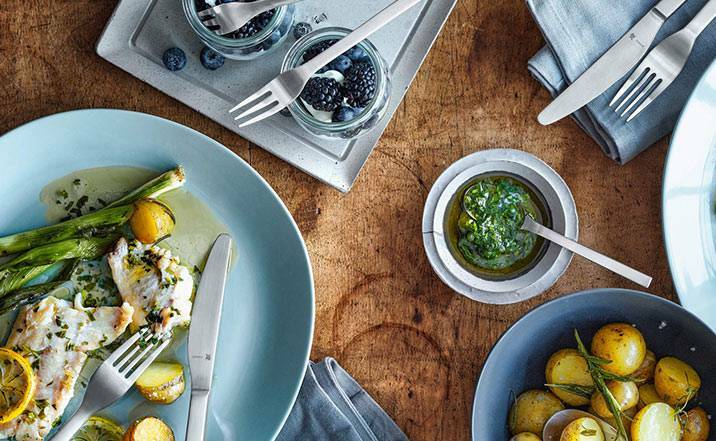 Browse our cutlery collections now and find the perfect knives for your household! All our WMF knives are characterised by their unique material composition, ergonomic design and exciting feel. Don't settle for average – with WMF knives you can take your culinary skill to a whole new level. You can buy any item in your cutlery set from the respective matching collection, or even upgrade your set in our online shop. Be inspired by the WMF classic knives or by the latest innovations in design.